Save the Children is an international organisation that promotes children’s rights, provides relief and helps support children in developing countries. 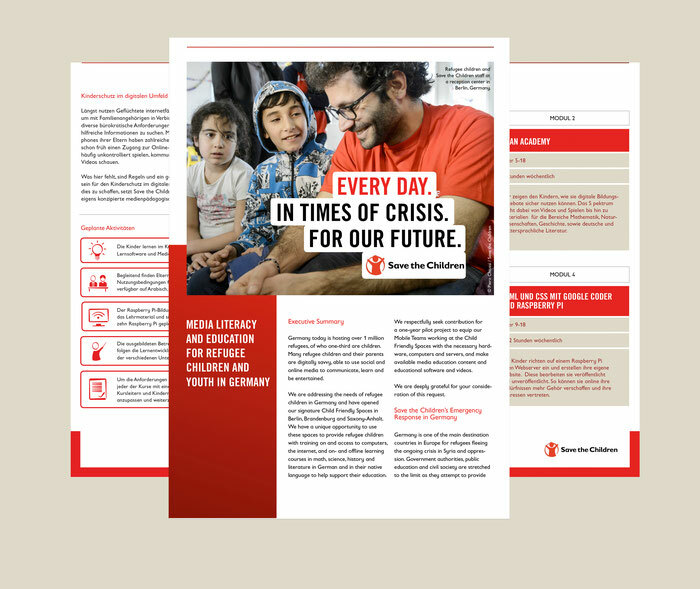 To inform about their new projects they needed some digital brochures in German and English. I also created some icons according to the coorporate design.